Solo lunches can be such delicious affairs. You can eat leftovers. (One of my all-time favorite foods.) You can eat standing at the frig. (Not recommended.) 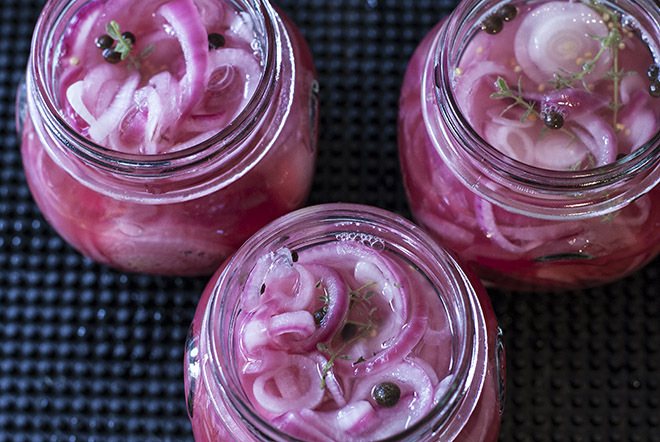 Or you can build a gourmet sandwich from fixins’ and condiments you have on-hand, such as these pretty and pink pickled red onions. The fact is, some of my favorite type of restaurant menus to peruse are from sandwich joints. It’s amazing the wild and wonderful things humble sandwich restaurants can come up with—usually for less than $10. Years ago, one of my favorite lunchtime breaks from work was at a restaurant that packed a pita with cheddar cheese, black and green olives. That’s it. Four ingredients. But it was packed full and then fired in the wood oven and served with a simple vinaigrette. Thinking back on it, it’s a good thing my metabolism was firing high in those days because that sandwich probably had about 1,500 calories—before the french fries on the side! These days I like to keep specialty condiments in the frig for days when I have homemade bread and can justify the calories. 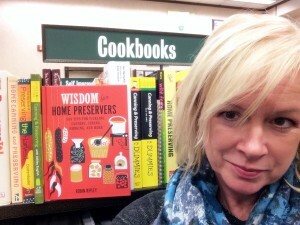 Favorite ingredients include pickles of all types, avocados, hummus or other bean dip, arugula and anything cheese. In my opinion, a food gets extra points if it’s pretty, so I wanted pretty pickled onions for my condiment selection. These onions fit the bill and make a perfect addition to the toasted Swiss, avocado and arugula sandwich I’m craving a lot these days. Total time is about an hour once you have assembled all your supplies and ingredients. You’ll take away about seven or eight little half-pint jars. You can give some as gifts or just hoard them all for yourself and those sandwich days. In my opinion, a food gets extra points if it's pretty, so I wanted pretty pickled onions for my condiment selection. These onions fit the bill and make a perfect addition to the toasted Swiss, avocado and arugula sandwich I'm craving a lot these days. Total time is about an hour once you have assembled all your supplies and ingredients. You'll take away about seven or eight little half-pint jars. You can give some as gifts or just hoard them all for yourself and those sandwich days. 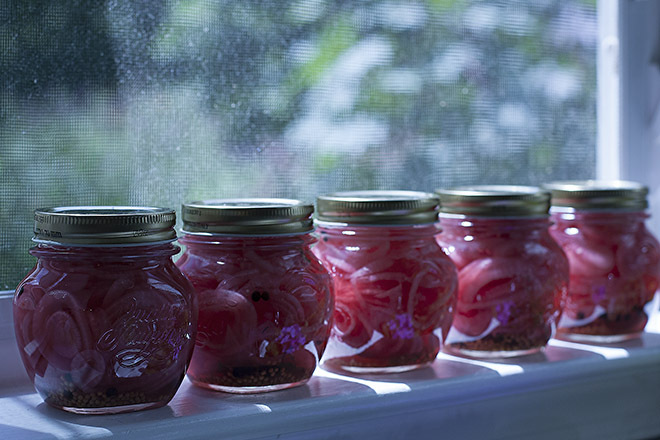 Ster­il­ize 7 to 8 half-pint can­ning jars and lids in a water bath can­ner. 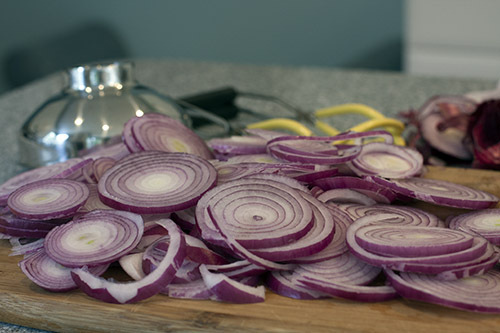 While jars process, slice onions. Com­bine vine­gar, sugar and salt in a dutch oven. Bring to a boil and sum­mer until sugar and salt are dis­solved. 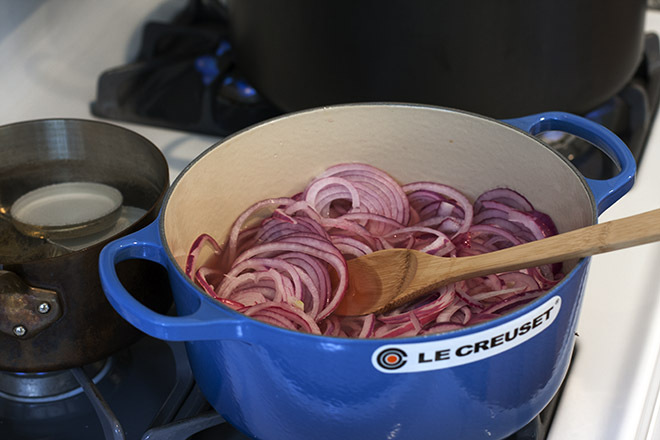 Add sliced onion to the vine­gar mix­ture and reduce heat. Sim­mer, uncov­ered, for about 5 min­utes. Do not let the onions get soft. Remove jars from water bath. 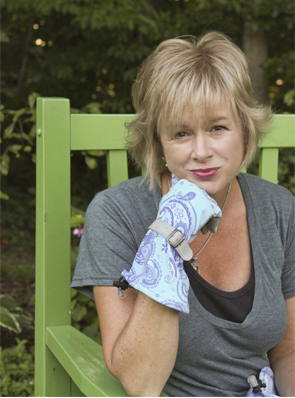 Place 1/4 tea­spoon all­spice berries, 1/4 tea­spoon mus­tard seeds, one bay leaf and one sprig of thyme into each jar. 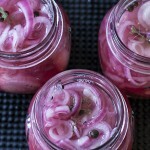 Trans­fer onions to each jar and top with the hot vine­gar liq­uid, leav­ing 1/2 inch headspace. Fin­ger tighten lids on the jars to seal and process jars in the water bath can­ner for 10 min­utes. Remove jars from water and let stand, undis­turbed, at room tem­per­a­ture for 24 hours. Check the jars. 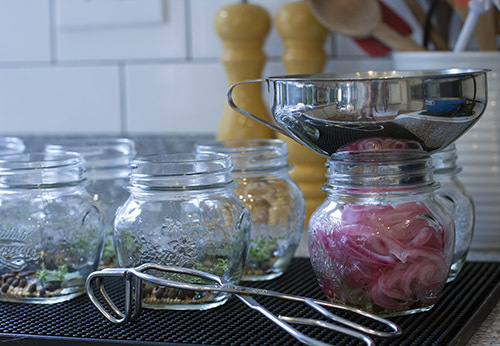 Prop­erly sealed jars will make a POP sound as they cool and/or the metal lid will be slightly con­cave. 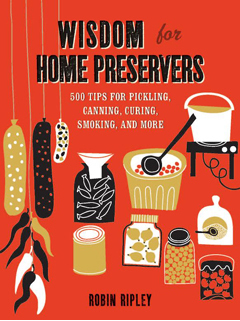 If you can press the lid and make a pop­ping sound, the jar is not sealed. 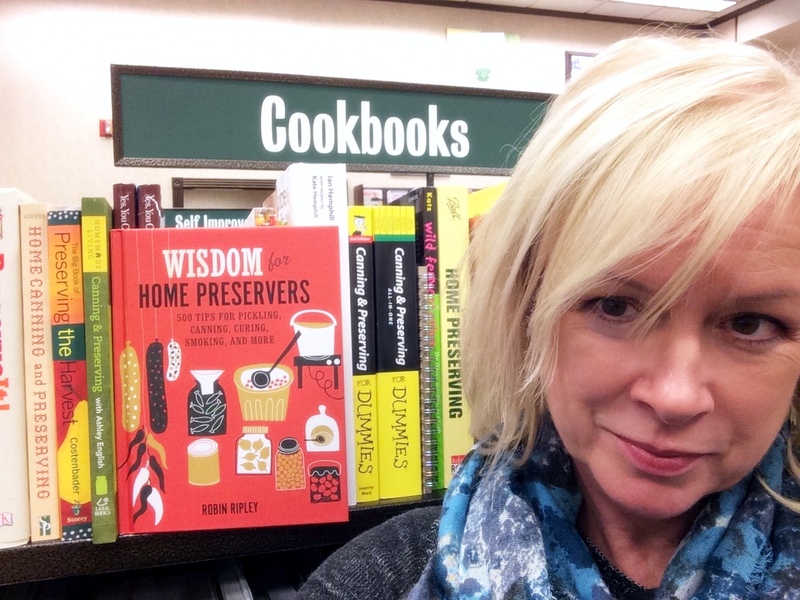 Store unsealed jars in the refrig­er­a­tor and use right away. Store sealed jars in a cool, dark place and use within one year.